Most people are aware of quality score being attributed to keywords, which is a determining factor in ad positioning and in how much you pay per click (CPC). For keywords, quality score is ranked between 1 and 10 and you want the score as high as possible, anything over 6 is good. However, quality score is also used at the account, ad-group level and on landing pages. It is also used on Google Shopping campaigns where a quality score is applied to your product feed. Google hasn’t actually confirmed the existence of these different levels of quality score but it is generally accepted they are used as performance indicators. So what factors make up the quality score calculation, and how it can be improved to produce better and more successful Ad-words and Shopping campaigns? Click through Rates (CTR) – According to Google’s chief economist Hal Varian the CTR makes up 60% of ranking your QS. Ad-copy to search term relevancy – if you’re selling ‘mens shoes’ your ad-copy messaging should accurately reflect this. Landing page quality – This includes relevancy to the ad-copy, easy to navigate, and no spam (pop up boxes etc). Certain metrics are also taken into account such as bounce rate and page loading times. Geographical Location – QS is localised down to the city level, so varying performance in different locations will produce different score. Device Performance – Your QS will differ across different devices, especially if the user experience is poorer across one device type over another. Similar to search ads, the QS of Shopping ad-groups and product feed is determined by the CTR and relevancy of product data and landing page. A better QS will deliver greater reach of your PLA’s at a lower cost. With relevancy in mind how can you improve your QS? Achieving a good CTR requires a combination of well written ad copy and relevancy to the search query. Therefore, your keywords and ad groups should be targeted enough to ensure the keyword, ad-copy and landing page are all matched. A common mistake made by many advertisers is using too many keywords per ad group so that irrelevant ad-copy is shown to the user. Testing different messages is the best way to improve CTR. You should be continually testing and improving ad-copy using various types of messages from offers to value and trust statements. To improve the CTR and QS of your PLA ads, you should be looking at both the product feed as well as campaign data. One way to do this, similar to AdWords, is to look at your SQR reports to identity irrelevant keywords and use negative keywords lists, or amend your product titles and descriptions to remove the offending keywords. If you have the time and resource, then single keyword/product ad groups will certainly give you a higher relevancy and will help to improve your CTR & quality score. The downside to this type of campaign structure is the time it takes to manage, however using a combination of software and manual analysis will take a lot of the grunt work away. There is quite a lot of information about improving landing pages. Google’s own guidelines are worth a look and are pretty easy to implement. In a nutshell they want relevancy between the keyword and landing page. They also want landing pages that are easy to navigate, simply designed, provide information before the conversion is requested, and make it very clear what the visitor is to do. “Buy now”, “Sign up” etc. Making landing pages work is an art in itself, but putting in strong sales features and conforming to Google is not that hard to do. Using A/B and multivariate testing of messaging and design elements will not only help to improve QS by decreasing bounce rates but will also help to improve conversion rates. If you are using geographical location targeting in your account settings or location is an important factor to the products or services you are offering. Make sure the relevancy of your keywords, ad-copy and landing page is matched to the correct geographical search query. This will be key to ensuring the performance of these campaigns. Otherwise they will deliver a low CTR, high bounce rate and will most likely not convert. And will results in a low quality score. As QS will differ according to the type of device the ad is being displayed on. You should be ensuring a high user experience no matter what device is being used, by either providing a mobile website, or having a responsive site. However, if you don’t have a functional mobile website then you should be using excluding mobile traffic from your campaigns. 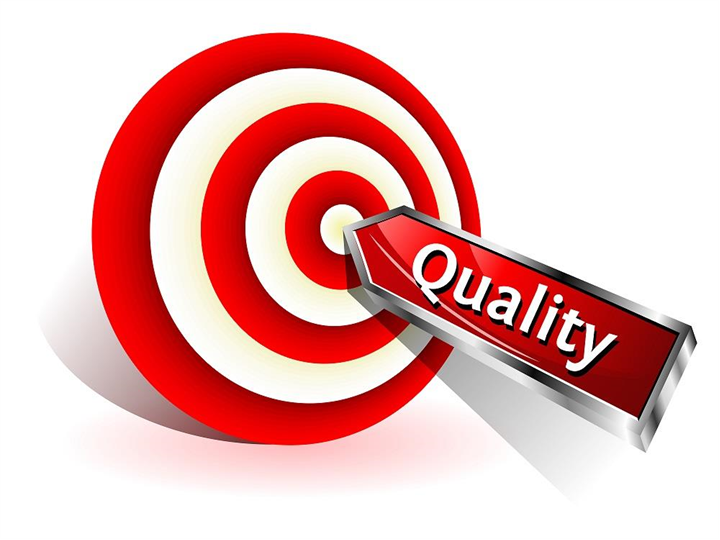 Quality Score is a performance indicator but not a key one! Although QS is a performance indictor, it should not be used in determining the success of your campaigns. The more important metrics of the cost-per-sale (or conversion) and the Return On Ad-spend (ROAS), will show whether your campaigns are generating a profit.